Lashing out at the Congress for demeaning Army Chief General Bipin Rawat to a "street thug", the Centre on 12 June said party chief Sonia Gandhi should issue an apology and clarify its stand on remarks against the Indian Army. "It shocks us. 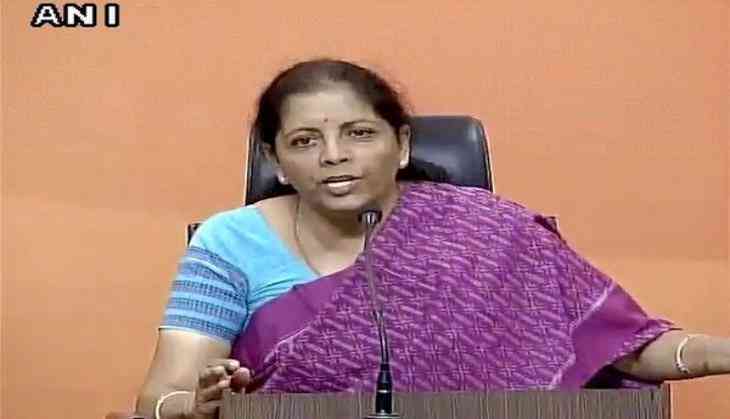 It did not come from a somebody from Congress, but from a very eminent Congress leader," Union Commerce Minister Nirmala Sitharaman told the media. Accusing the Congress of "consistently questioning the integrity of the Indian Army to shame and demoralise them," she said, "I wonder if this is a strategy of the Congress to undermine the Indian Army, weaken our institutions. 'Sadak ka gunda?' Is that a language a senior politician uses against our Army Chief? Sonia Gandhi should disown that their leadership which is going on insulting Indian Army, is not what the Congress wants and should apologise. The Congress should clarify its stand on remarks against the Indian Army." Meanwhile, Congress leader Sandeep Dikshit, earlier in the day, tendered an apology for the second time, saying shouldn't have used "uncivilised" words to convey his message. Inviting a huge backlash from various quarters, the Congress leader Sandeep Dikshit yesterday said General Rawat shouldn't make statements like a ' Sadak ka Gunda' (a road-side goon).